The clever YOUniverse Fix car seat grows with the child (group 1/2/3, 9-36 kg) and ensures great driving pleasure at all ages. 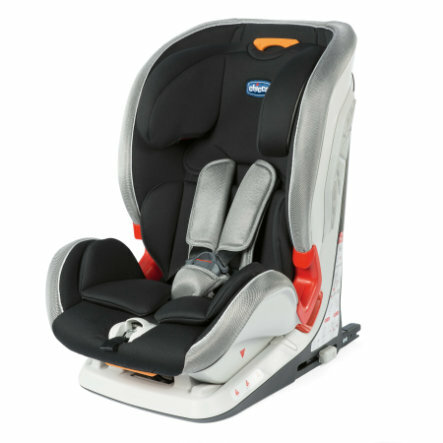 With removable seat insert, soft seat pad, reclining options and side impact system for maximum safety. Headrest and harness can be adjusted simultaneously. YOUniverse Fix is securely, quickly and easily connected to the vehicle in a forward-facing position using the Isofix connectors and the top tether. In addition, installation with the vehicle's 3-point seat belt is also possible, making YOUniverse Fix also suitable for vehicle models without Isofix. Installation with Isofix connectors and Top Tether. The seat has a side impact protection system for maximum protection in the event of a side impact.